(2) Perkins 90 Kw Generators. 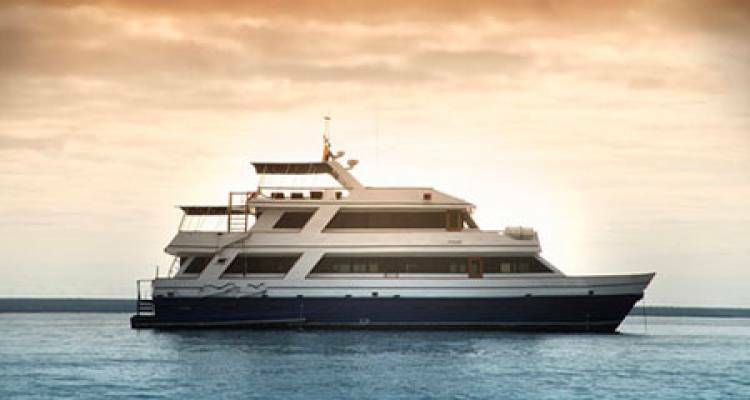 Built in 1991 and refurbished annually, these superior first-class, sister yachts accommodate twenty guests each and feature three decks of spacious staterooms. Quarters include ten handsomely decorated double cabins; each is furnished with two twin beds or one double bed, a roomy closet and drawers, overhead storage, climate control, an intercom system, and a private bathroom. The boats also feature spacious common areas which include a sundeck, dining room, well-stocked bar, conference area and library. As a pioneer in sustainable travel, our company is proud to share that the Eric was also the first Hybrid boat to cruise the Galapagos with the installation of solar panels.